The sky’s the limit for the Chairman of Durham County Council as he gets set to take on a charity skydive challenge. 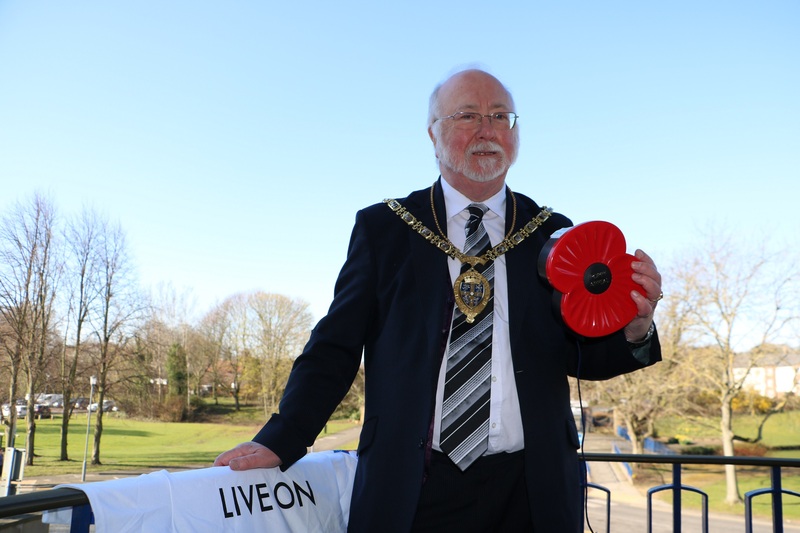 Cllr John Lethbridge is to complete a tandem skydive to raise money for his chosen charity The Royal British Legion on Saturday, 4 May. The grandfather of two was elected as chairman last May and has spent the last 12 months meeting residents, promoting the county and raising money for his chosen charity. To celebrate his year in office Cllr Lethbridge, who represents the Woodhouse Close ward, will go one step further than any council Chairman before and jump 10,000 feet out of an airplane at the Peterlee Skydiving Academy. Cllr John Lethbridge, said: “I intend to stretch my comfort zone to its furthest limits by taking part in my first ever skydive. Cllr Lethbridge is hoping to raise £1,000 for the charity. Donations can be made by visiting https://www.justgiving.com/fundraising/john-lethbridge.